Our range of products include earthing rod, chemical earthing rods, earth enhancing rod and chemical earthing rod. 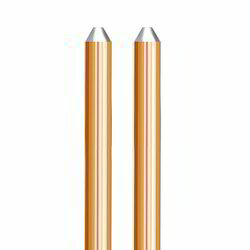 We are the leading manufacturer, supplier and exporter of Earthing Rod in India. These are manufactured with state of the art technology and high grade raw material to provide unmatched quality. These are highly popular among our valued client's due to durability and price. We have gained years of experience in trading, supplying and distributing Chemical Earthing Rods. 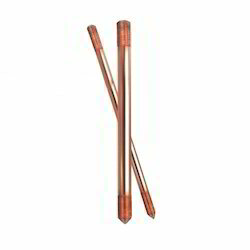 These earthing rods are widely demanded by several residential societies, commercial complexes and corporate houses. Designed to perfection, our rods are made using quality raw material and latest technology at our vendors’ end. 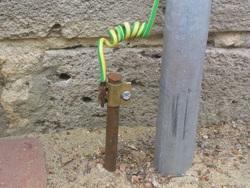 Furthermore, our quality experts stringently check all the earthing rods on various parameters to ensure flawlessness. We supply a precision engineered range of Earth Enhancing Rod. Thess discharging rods are fabricated in adherence with the defined industry standards. Manufactured using high grade raw material, our rod is tested on various parameters before it is delivered at the client's end. 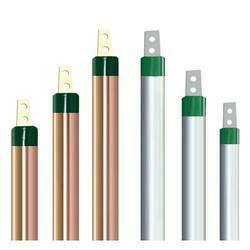 We are a biggest manufacturer and exporter of Chemical Earthing Rod with all its accessories in India. We have an amazing production capacity of manufacturing 3000 rods per day to ensure shortest possible delivery time. We can supply ground rods in all sizes along with accessories .